Clive Lyttle approached Ideology to brand Certain Blacks, an East London arts organisation, formed to support the creative voice of our diverse society. The logo reflects the excitement and thrill of live performance and contrasts the shock of a splash of electric colour with the name and initials in strong, no nonsense, black. The radical new perspective of the performances is expressed by inverting the C of the name, mirror fashion. An inspiration was the famous Victorian libel case when the shocked conservative critic, John Ruskin critised Whistler for ‘ flinging a pot of paint in the public’s face’. 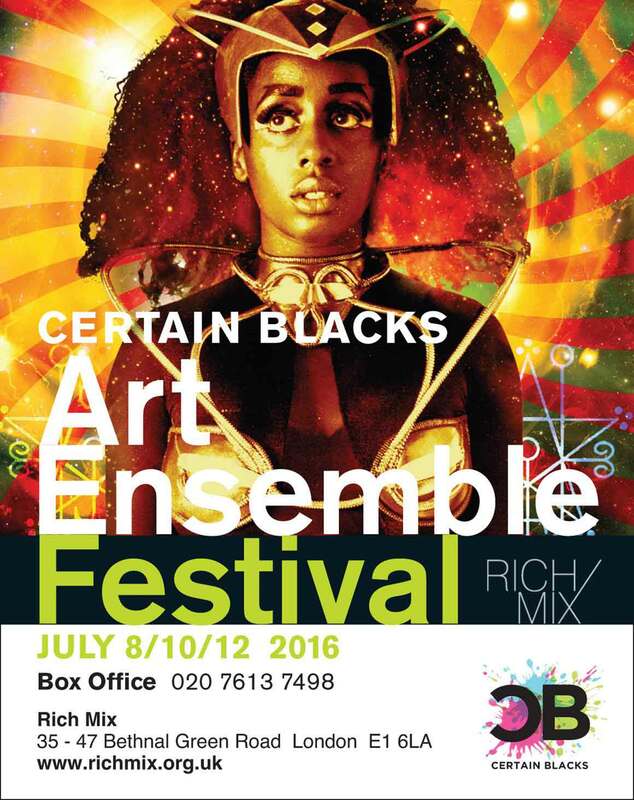 Ideology also designed the marketing materials, incuding a poster and leaflet, for a summer festival, Art Ensemble, organised by Certain Blacks. Certain Blacks have enjoyed working with Ideology. They have developed visual ideas and copy in an exciting way that has supported the artistic aims of the company.